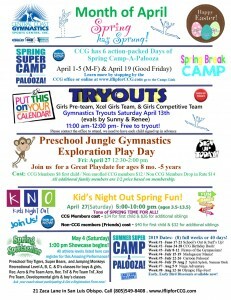 Let the birthday experts at Central Coast Gymnastics give you a party you will flip over! We will work closely with you on every detail of your Funtastic Party from start to finish, ensuring you Funtastic Birthday memories that will last a lifetime! Let us take care of the details; from the mailing of our custom invitations to cleaning up and everything in between, we do it all! Invitations filled out & mailed, or prepared for you to pick up. Decorations set up with color coordinated decorations when you arrive. Fun, lots of entertainment, & great memories! Set up, all the clean up, & even help carrying all of it out to your car. 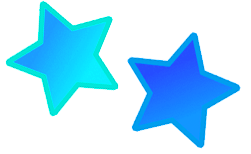 A Birthday Coordinator will help you plan the perfect party for your family, and the CCG Birthday Staff will run the event while you enjoy your child’s party, you can take all the pictures you want, and create wonderful memories. 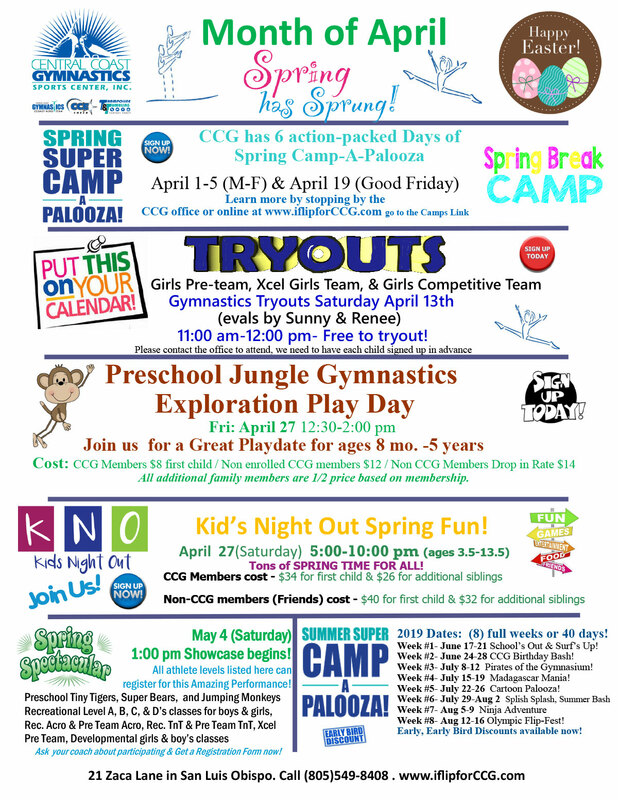 Every child goes home with a FREE class coupon to come back to CCG to do a free class in any of our programs offered. This is a great added value for all your party participants! We love CCG - we have been customers for 12 years and love all the programs they have to offer. Birthday parties are amazing - a mom's dream, they do all the work and the kids love it! CCE (Central Coast Elite All star Cheer) is the best cheer team and has the best coaches! Bring your kids to CCG you will love it! Amazing staff, wonderful programs and happy kids!! 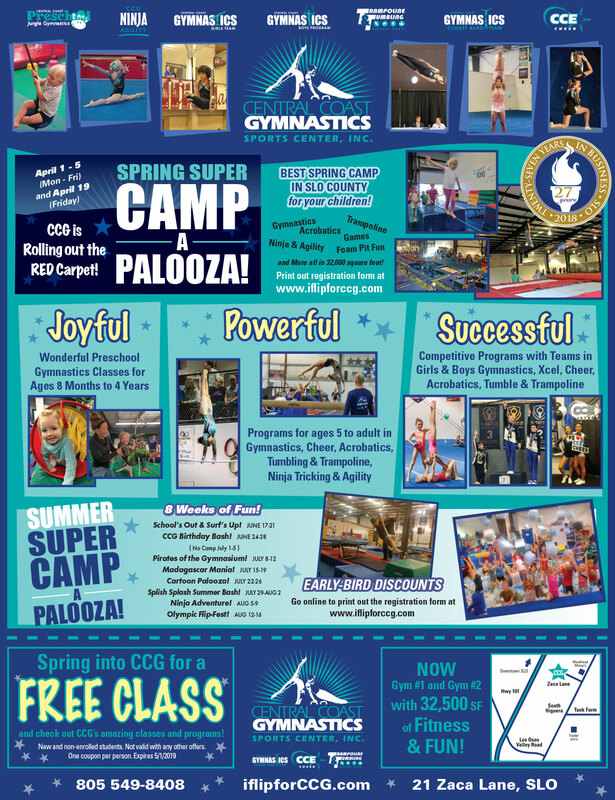 CCG has something for everyone from preschool classes, to team gymnastics, cheerleading, acro, T&T and even adult classes! 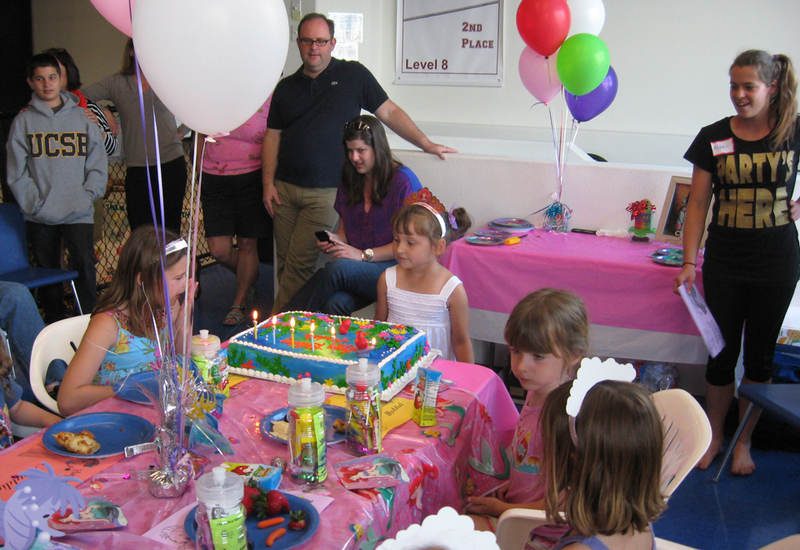 We've also had many Birthday parties there and the staff takes care of everything and the kids have a blast! 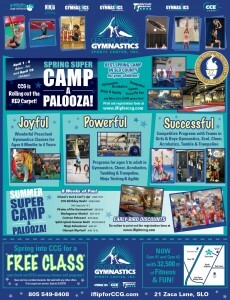 CCG is the place to be in SLO!